For the overnight shift, check out last year’s virgotext Pride extravaganza. To see every post, be sure and click the “Next Page” link. Every Pride celebration, the scheduled events portion anyway, comes to an end. The parade’s long over, the street fairs and dances wrap up, and the queers all go their separate and together ways and “regular” life commences apace. From the blog stats, I’d say you folks enjoyed my little celebration. I’m happy you’re happy — hey, I’m a giver. I didn’t plan to do this. It was an impulse, born not of strategy, but of sentiment and private musings on the anniversary colliding with a crazy, over-scheduled week in the meat-space that left me with little time to read blog posts, much less write my own. So, since I didn’t really have a plan, I can’t claim this was meant to be any one thing, certainly it wasn’t exhaustive, thorough or even representative. If there was any organizing principle, it was attitude rather than analysis, stand up rather than stand by, and don’t forget to dance and sing. Details about how the riot started vary from story to story. According to one account, a transgender woman named Sylvia Rivera threw a bottle at a police officer after being prodded by his nightstick (Duberman). Another account states that a lesbian, being brought to a patrol car through the crowd put up a struggle that encouraged the crowd to do the same (D’Emilio 232). Whatever the case may be, mêlée broke out across the crowd—which quickly overtook the police. Stunned, the police retreated into the bar. Heterosexual folk singer Dave van Ronk, who was walking through the area, was grabbed by the police, pulled into the bar, and beaten. The crowd’s attacks were unrelenting. Some tried to light the bar on fire. Others used a parking meter as a battering ram to force the police officers out. Word quickly spread of the riot and many residents, as well as patrons of nearby bars, rushed to the scene. Throughout the night the police singled out many transgender people and gender nonconformists, including butch women and effeminate men, among others, often beating them. On the first night alone 13 people were arrested and four police officers, as well as an undetermined number of protesters, were injured. It is known, however, that at least two rioters were severely beaten by the police (Duberman 201-202). Bottles and stones were thrown by protesters who chanted “Gay Power!” The crowd, estimated at over 2000, fought with over 400 police officers. The police sent additional forces in the form of the Tactical Patrol Force, a riot-control squad originally trained to counter Vietnam War protesters. The tactical patrol force arrived to disperse the crowd. However, they failed to break up the crowd, who sprayed them with rocks and other projectiles. Eventually the scene quieted, but the crowd returned again the next night. While less violent than the first night, the crowd had the same energy as it had on the previous night. Skirmishes between the rioters and the police ensued until approximately 4:00 a.m.. 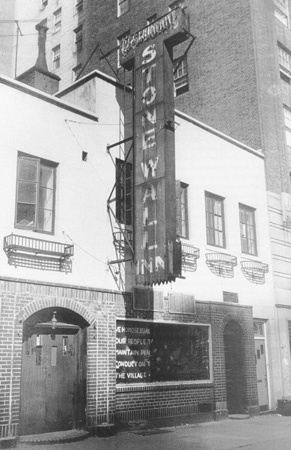 The third day of rioting fell five days after the raid on the Stonewall Inn. On that Wednesday, 1,000 people congregated at the bar and again caused extensive property damage. that every flag that flies today is a cry of pain. 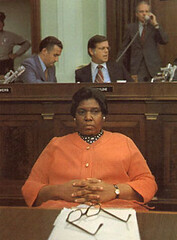 There has never been anyone exactly like Frances Faye. Pride Post XVII: Spawn of Pride, or — Children of Lesbians and Gays — EVERYWHERE! That’s just a tiny representative handful of the GLBT family blog community. Visit Mombian’s Resource Directory for a much bigger list of GLBT family blogs. Happily, there are way too many to include in one post. Visit COLAGE’s resource page for links, info and resources for LGBT parents, children in LGBT families, schools, health professionals, extended familes, etc.